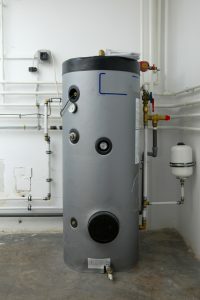 When you don’t have enough hot water at your Innisfil home, trust us to advise you about water heater repair. Water Heater Repair in Innisfil – You are beginning your day and suddenly realize that you do not have any hot water for your shower. Of course, your first thoughts turn to wondering just how old your water heater is and perhaps dreading the expense of replacing it. At Andrew’s Heating & Air Conditioning, we want you to know that it isn’t always necessary to replace it. With our water heater repair services, we can often get you that next hot shower for far less than the cost of replacement. As long as you do not have a flood because your water heater completely rusted out, there is a good chance our water heater repair can get it operational again. For example, the heating elements or a control mechanism is often the culprit, and replacing a burned-out heating element or other part isn’t nearly as involved as replacement. Let our experts quickly diagnose the situation and provide you with honest answers as to whether water heater repair is your best option. We’ll assess the age of your water heater and its overall condition to give you the best option based on our years of experience. While it is less costly to do water heater repair than replacement, it is also important to know if your water heater is on borrowed time. If that’s the case, it is wiser to replace it, rather than spend the money on water heater repair and then face replacement in the near future. Don’t suffer through another cold shower; call us today for our expert water heater repair services in the Innisfil, Ontario area. At Andrew’s Heating & Air Conditioning, we offer high-quality water heater repair services in Innisfil, Barrie, Alliston, Angus, and Midhurst, Ontario.